Gratitude and praises to the coconut tree! Coconuts provide juice, meat, and oil, are rich in protein and loaded with vitamins and minerals. Coconut meat contains an abundance of lauric acid, which is antiviral, antifungal and antibacterial, helping to eliminate parasites and infections. Coconuts also pack a quick and lasting protein-fueled energy boost. The green, young, unripe coconut shell keeps its water naturally cool and sterile. Your muscles are 75% water; your blood, the transportation system for nutrients, is 82% water; your lungs, processing oxygen, are 90% water; and your brains, the control tower, are 76% water. Even our bones are 25% water! All of your cells, tissues, and organs require hydration in order to thrive. Therefore, hydrate, hydrate, and hydrate some more with coconuts. You are what you eat and you are also what you drink. It’s not about how much water you drink - hydration is also linked to minerals. Coconut water has achieved superfood status due to its natural combination of electrolytes, supplying high levels of vitamin C, potassium, magnesium, sodium, calcium, and phosphorus, without the processed sugar and food dyes used in commercially produced sports drinks. Coconut water helps alkalize the body as well as help the digestive tract absorb nutrients. Although many people enjoy coconut water fresh out of the shell, those who don’t immediately take to the taste often find infused coconut water a great way to enjoy its delight. 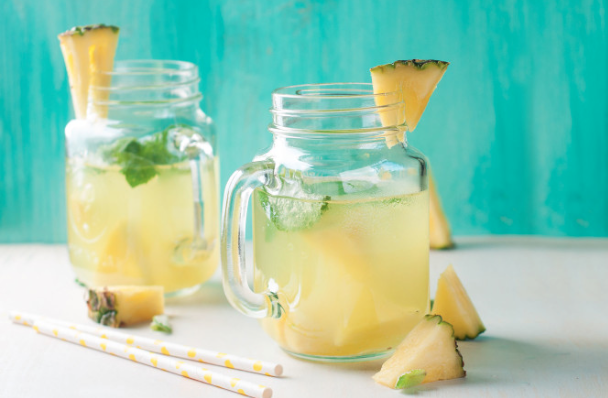 An infusion simply involves opening coconuts, pouring the water into a glass container, inserting a flavoring agent into the water, and chilling. Take these ideas and run with them...Be creative! • Citrus Coconut Water: 1 thin slice each of lime, lemon, orange and grapefruit. • Cucumber Coconut Water: 3 thin slices of a large cucumber with skin. 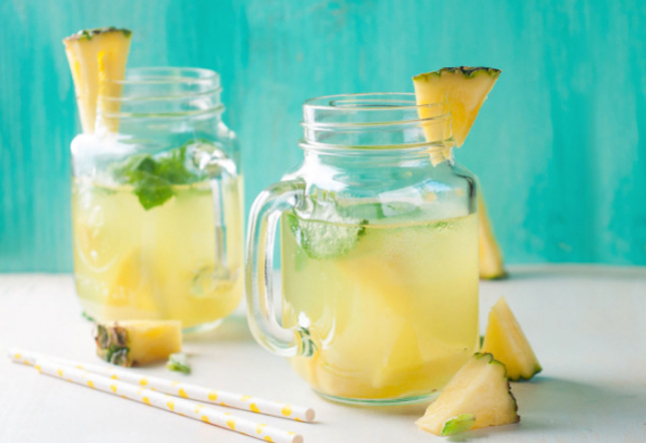 • Pina Colada Coconut Water: 3-4 slices or thick chunks of peeled pineapple.